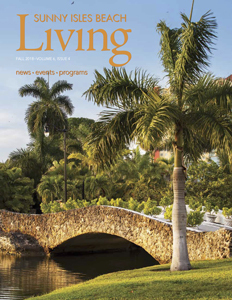 Our quarterly Sunny Isles Beach Living Magazine covers City Services, information on parks and beaches, and our entire calendar of programs and events, inclusive of three months of classes, events, and youth and adult activities. These activities are held at Pelican Community Park and in other City Parks. Also included are nearby hotels, City services, and information which new residents and tourists can use to answer questions. This publication is also a great marketing tool used by realtors and travel planners promoting our City to the world. 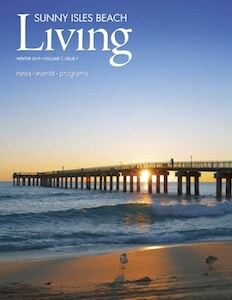 Free copies of SIB Living are available at the Government Center or Pelican Community Park. You can also download an electronic version below. 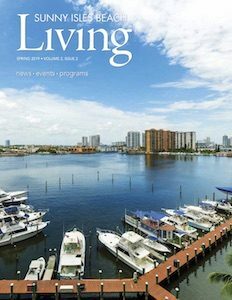 For archived editions of Sunny Isles Beach Living Magazine, please submit a public records request with the Office of the City Clerk. The City Clerk can be reached at 305.792.1703 or cityclerk@sibfl.net.